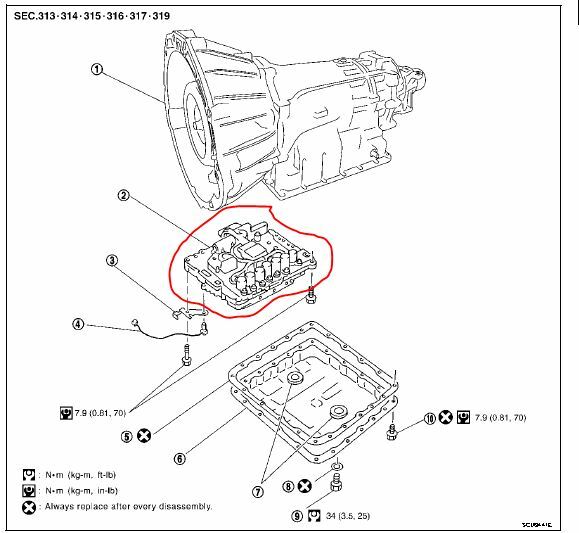 On most newer Infiniti models the Turbine Revolution Sensor is part of the transmission valve body inside the transmission. There is a factory service bulletin for the 2003 Infiniti G35. The bulletin suggests reprogramming the Transmission Control Module to repair the problem. The P1716 code is set when the Transmission Control Module (TCM) does not detect the signal from the sensor. The Turbine Revolution Sensor detects input shaft rpm (revolutions per minute). The sensor it's located on the input side of the automatic transmission. Monitors revolution of sensor 1 and sensor 2 for non-standard conditions.